Facebook Live has been given prominent placement and has rolled out new features to make it easier for facebook users to search and comment in real time. 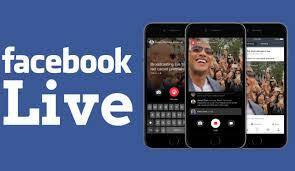 Facebook CEO Mark Zuckerberg said to News, Today we`re launching Facebook Live for everyone on facebook – to make it easier to create, share and discover live videos. Live is like having a TV camera in your pocket. Anyone with a phone now has the power to broadcast to anyone in the world from anywhere.